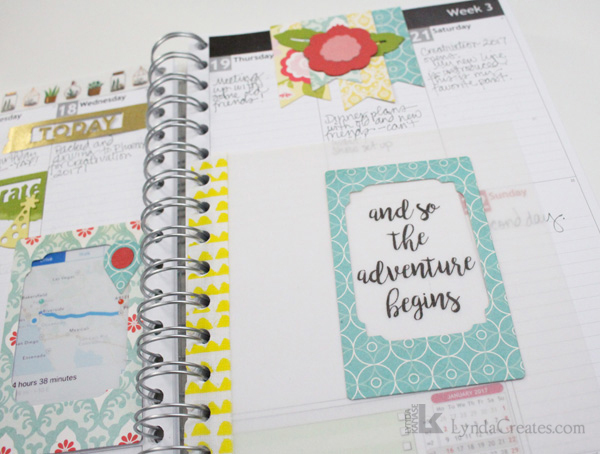 I love the idea of using my Personal Planner as a mini scrapbook. 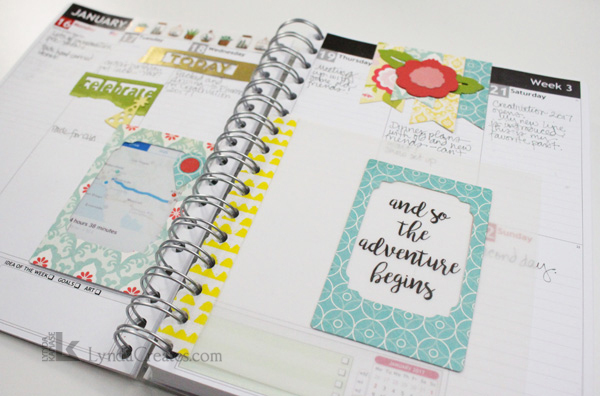 These are called memory planners which makes it sound like I’m organizing my memories which might be more accurate than I realize. So with the big Creativation 2017 Show coming up in a few days, I thought I would reveal how my memory planner is coming along. 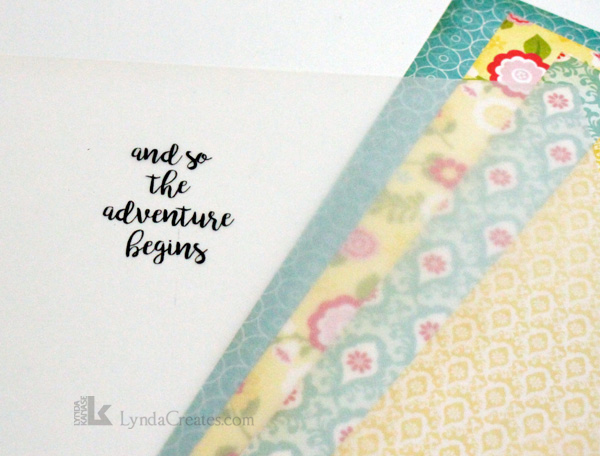 I started with the idea of doing a vellum overlay. 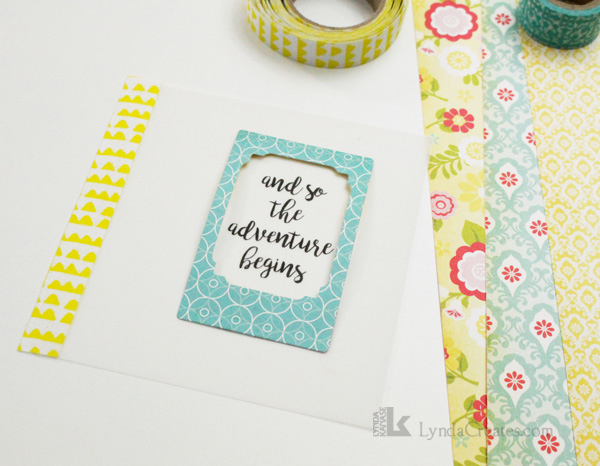 I printed the words onto a sheet of vellum then added a strip of yellow washi tape along the left edge. 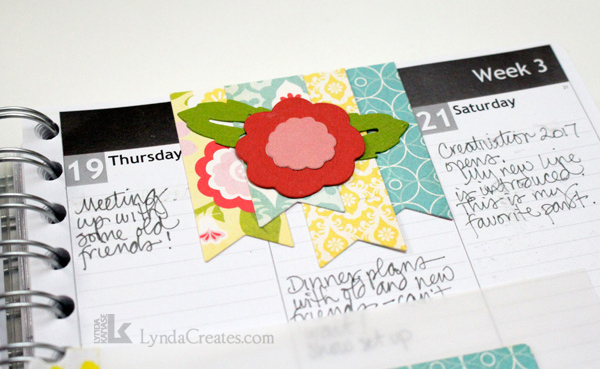 I used my Sizzix Bindable die to create an edge to insert into my planner. I used the small banners in a vertical format to create the accent on the actual Creativation date. I love the way the parts are coming together. I will be able to add a lot more notations and embellishments while at the show.